Dominique was initially drawn to yoga and meditation as methods of reconnecting with her inherent spirituality, and of coping with a demanding career in retail/ fashion. Immediately captivated, she knew that a radical change in trajectory was in store for her. Inspired by her teachers and guides, Dominique embarked upon a journey of discovery that ended in a lifetime commitment to her evolving study, practice and love of yoga, which she now has the pleasure of sharing with her students. Dominique received her 200 hr Interdisciplinary Yoga Teacher Certification and 100 hr Inner Quest of the Yoga Educator training at the renowned Nosara Yoga Institute in Costa Rica, studying under Amba Stapleton and Don Stapleton, Ph.D. She continued her studies at the Nosara Yoga Institute, becoming a Certified Practitioner of Pranassage, a synthesis of yoga and bodywork that deepens the effects of yoga. Dominique continues to be a dedicated and impassioned student and is grateful to her teachers and students for their continual inspiration. Teaching an “interdisciplinary style” of yoga, Dominique integrates vinyasa flow with other styles of currently practiced yoga. 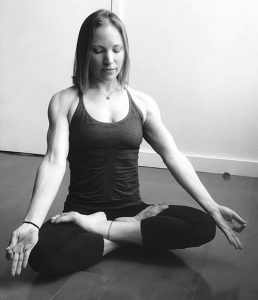 In her classes, she encourages students to deepen their awareness of technique, breath and movement, and focuses on the connection of body/ mind, alignment, flexibility, strength building and meditation. Her classes focus on empowering students to listen and respond to the intelligence in their own body and mind. Christine Hoar is the founder and director of both Bristol Yoga, VT and Ashtanga Montauk, NY. Christine has been a practitioner of the Ashtanga Yoga System for 22 years and has been teaching Ashtanga yoga for 20 years. 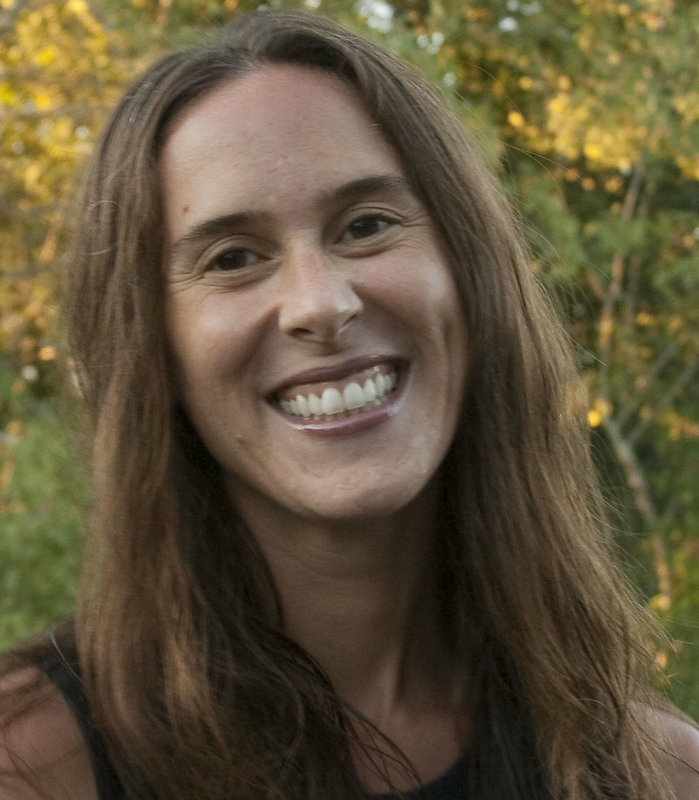 From 1997-2014, she served as the founder and director of Vermont’s only dedicated Ashtanga Yoga studio, Bristol Yoga. She has now moved and created a new practice space in Montauk, New York. 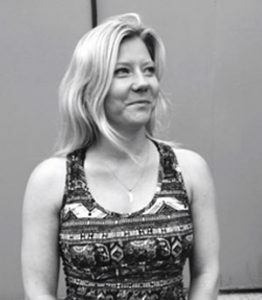 Specializing in the integration of the Ashtanga method with the principles of Ayurveda and the depth of Yogic philosophy, Christine offers students unique insights into the Yogic lifestyle. Christine has made many trips to Mysore, South India to study with her Guru, the late Sri K. Pattabhi Jois, and she is honored to have received his blessing and authorization to teach. She travels annually back to Mysore to continue her studies with both his daughter, Saraswati Jois, and his grandson, Paramaguru Sharath Jois. Christine is also a certified Ayurvedic consultant. As a practitioner, she is devoted to creating health and joy by fostering an awareness of the karma associated with our lifestyle choices and our connection to all of nature. As a teacher, she integrates alignment and intuition, strength and fluidity, mindfulness and humor. Christine is passionate about the teachings, and brings a gentle, compassionate, and light-hearted, yet powerful, hands-on approach. Ashley began practicing yoga to supplement her training as a runner. Through the years she recognized the transformative and spiritual components of yoga and her practice became a devoted part of her daily life. In 2011 Ashley completed her 200 hour Teacher Training at The Shala Yoga House in NYC under the warm and wise guidance of Barbara Verrochi and Kristin Leigh where she teaches now. 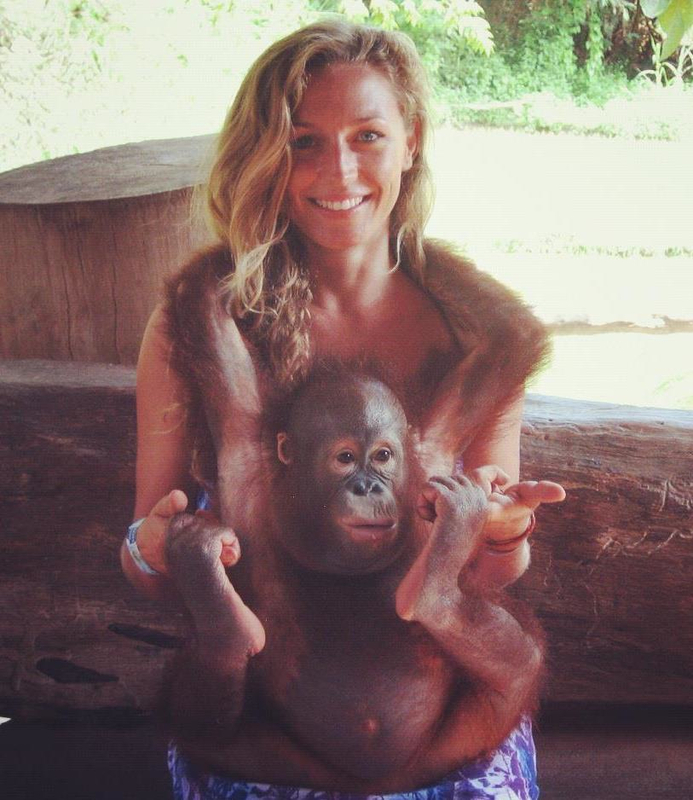 Over the last 3 years Ashley has traveled to Mysore, India for month-long studies of ashtanga yoga with Sharath Jois. 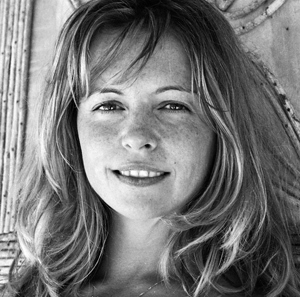 Ashley is deeply grateful to her Ashtanga teachers, as well as influenced by her early teachers from Jivamukti, her acupuncturist Abdi Assadi, the dharma of Pema Chodron, and the inspiring students and clients she works with. 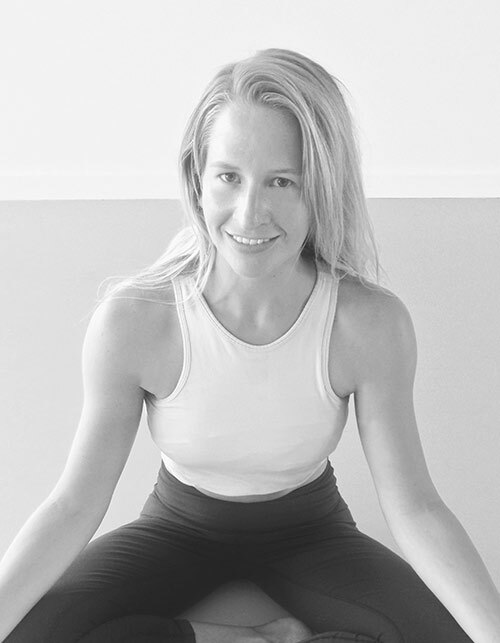 Ashley’s classes weave together strong and creative vinyasa flow with the tradition and energizing asana of ashtanga yoga and incorporate meditation, breath work, yoga philosophy, and great music. She hopes her students will find both inner and outer strength, and also have some fun! Ashley is also a Licensed Creative Arts Therapist in private practice. When she isn’t at the beach in Montauk she can be found back in Brooklyn walking her beloved rescue dog Soumy, making art with kids, or planning her next trip abroad. An experienced Yoga Teacher and Holistic Health Coach. 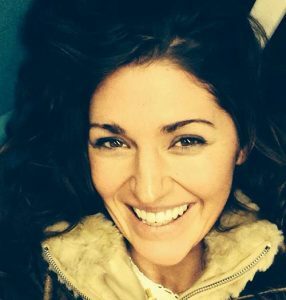 Maria has studied Yoga, meditation, pranayama and many nutrition theories. Studying under the guidance of Sri. Pattabhi Jois, Eddie Stern, The Sivananda School in India, Trinity Laban Conservatoire of Music and Dance, Dr. Svoboda, and the Institute of Integrative Nutrition. In 2015, Maria launched Holixtic, a wellness, lifestyle and fitness platform where she guides her clients to an elevated and more balanced life. 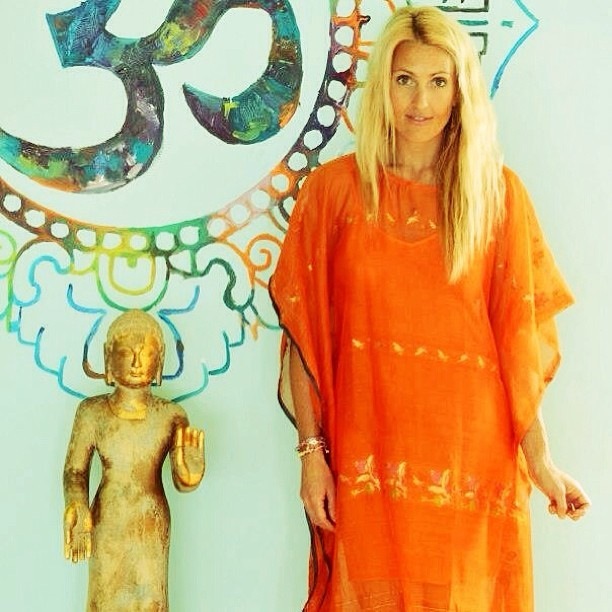 Holding retreats and workshops across the globe, combining her approach to wellness by nourishing the inner and outer realms through yoga, ritual, energy foods, breathwork and meditation. Partners have included Free People, Topping Rose Hotel, and Montauk Beach House. Caitlin is currently based full-time in the Hamptons where she draws inspiration from the open spaces and mystical beauty of the east end. Her style incorporates vinyasa sequencing and mindfulness with an emphasis on alignment and spirituality. Caitlin has practiced yoga in the New York City area for the past eight years, and has completed trainings at the Laughing Lotus Yoga Center in Chelsea as well as The Giving Room in Southold. She honors the grace, wisdom, and authenticity of her teachers and students who provide unending guidance. A Montauk native, I have always been drawn to tuning in to the quiet within. Starting my yoga journey with an alignment book of stretching in yoga at twenty one while living in Park Slope. Continuing to add classes. Becoming more and more intrigued. Finally culminating in a 300 hour teacher training with Rodney Yee, Colleen Saidman Yee, Heidi Folkine, Richard Rosen and Richard Freeman completed in July 2013. I am interested most by the natural feeling of many postures, realizing that as a child I did tripod headstand and hung out in shoulder stand. Watching my own two children repeating the same and mimicking many of my movements is pure joy. I teach with alignment and kindness to your body as priority. Four years of collegiate volleyball and triathlons have shown the importance of both. Sarah finds herself in constant exploration of life and enjoys utilizing breath, movement and attention as tools for creating balance. Her practice provides her with a sense of readiness for whatever is to come. She sees her classes as a chance to step outside the everyday and discover new energetic possibilities. Sarah is registered with the National Yoga Alliance and completed her 200 hour training certification with Tricia Philpott and Gregor Singleton. In addition, she has studied the Breakti method under Anya Porter, Bhakti meditation under Acharya das, Baptise Power Vinyasa with Kathleen Lyons and Kundalini with Guru Purkh Kaur. 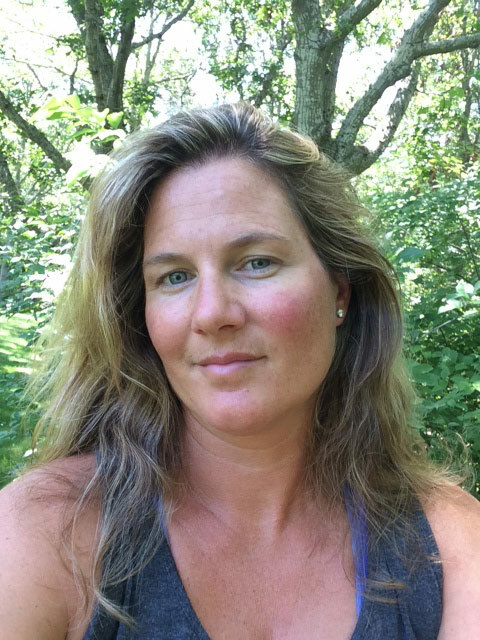 Cathy McGuire began studying Yoga in 1996 and has been teaching since 2001. Her first teacher was a student and friend of BKS Iyengar and gave Cathy a firm foundation in alignment and safety. She went on to study Anusara and Vinyasa. She was certified as a Yoga therapist in 2003. 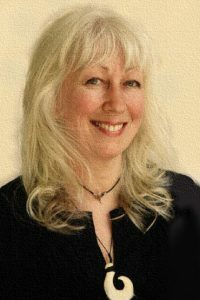 Cathy is also a registered Yoga instructor and a Reiki practitioner. She taught Aerobics in gyms and as an adjunct in Queensborough Community College in the phys Ed dept for many years. She credits her Yoga practice for being able to stay active and injury free! Cathy loves Montauk and feels a deep sense of gratitude for her life here! She hopes to inspire her students to be the best version of themselves! Angela Stepan is a healing artist with over a decade of experience as a body worker, dancer, & yogi dedicated to creating space for soulful awakening & transformation. 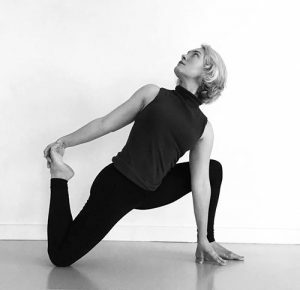 Her yoga classes are a creative blend of guided meditation & pranayama into a poetic aligned flow ~ inspiring subtle body awareness & authentic awakening through hands on adjustments & challenging asanas to connect & uplift into a brighter state of being. Her Buti Yoga workouts transform your BODY + SOUL with cardio-intensive bursts of tribal dance, primal movement + conditioning woven into a dynamic yoga practice. A long time track and field athlete, Jenni was first introduced to yoga almost 15 years ago while living in Manhattan and looking for something to balance out her physical regime. 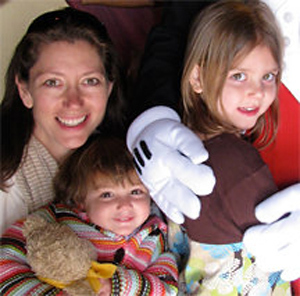 As a mom of 3 girls, Jenni has continued her practice throughout the years with vinyasa, prenatal yoga and meditation. It wasn’t until 2014 that she packed up her running shoes and began diving deeper into her yoga practice. In 2015 Jenni completed her 200 hour RYT Vinyasa yoga certification at Practice Mind Body Soul, where she continues to teach a multitude of classes ranging from beginner to advanced Vinyasa Flow. As a student and practitioner of the Ashtanga tradition, Jenni integrates her love for Ashtanga yoga into her Vinyasa Flow classes. Her playful teaching style make her classes fun and accessible to all levels. She loves to empower her students, offering a safe place to explore and progress. Outside of her practice, you can find Jenni frolicking around town with her 3 little yogini’s and yogi husband❤. Danielle is an all around wellness professional; Registered Dietitian/Barre instructor/RYT 200hr certified. She is based out of New York City where she runs her private practice specializing in weight loss and mindful/balanced lifestyle counseling. She found her love for movement at an early age in dance which lead her to the training methods of both Yoga and Barre. Danielle has taught barre for five years at the master level. She is certified through Siddhi Yoga Teacher training program in Rishikesh, India where she immersed herself in the mother land of yoga. Danielle has taken her fitness and mindful practice to the next level and launched her signature class Barre Flow; a barre/vinyasa fusion taught at private studios around NYC and Montauk. 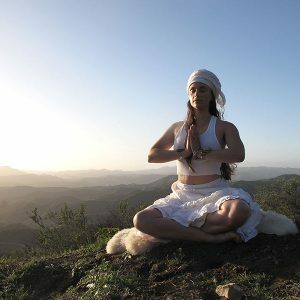 Christiana is a dedicated student of yoga and meditation. She uses the foundations of yogic philosophy to navigate her human experience and takes great joy in sharing this knowledge. Christiana entered her first comprehensive yoga studio in 2012, this monumental experience led her to embark on the path of a seeker. Within a year, she left for Satchidananda’s ashram in VA and completed their LYT training. With the strong foundation of a yogic community behind her she left to learn from teachers throughout the world. She has lived at Ashrams in the US, Nicaragua, India and Nepal and completed her 200hr YTT at Kranti Yogashala in Patnem, India. Her classes are a blend of wholesome intuitive movement, breath work and meditation. Christiana’s love for the ocean has also led her to become a certified SUP yoga instructor. During these classes she invokes an awareness of the surrounding nature with stabilizing, alignment based postures. Sally is a year round Montauk resident and has been teaching her dance class for 8 years. Dancing has been a big part of her life and she has tried every dance class out there, from step, salsa and flamenco. Living in London in the 1980’s she was a frequent visitor to Pineapple Studios in Covent Garden and the YMCA on Tottenham Court Road for jazzercise and dance cardio classes. After completing two Zumba workshops in NYC Sally modified her class to create a combination of aerobic workout with easy-to-follow dance steps incorporating salsa, merengue and cumbia to improve coordination, flexibility and balance. Sally’s approach to exercise is to get fit through dancing in a friendly and welcoming environment, her class is for all ages and all levels. Sally and her husband own and operate a small 20 acre vineyard in Martinborough, New Zealand. She is also a sculptor, carving wood and stone by hand. Brittany is a nature, adventure and animal lover. The Montauk native also loves healthy food, making yummy recipes, green living, and her family. Her mission is to help people eat healthier, move more, love their body and find happiness. She subscribes to the notion that true beauty comes from the inside out. This is why she loves Pilates! Pilates exercise works from the inside out and regular exercise does the opposite. The deep intrinsic muscles of the body are activated allowing you to discover muscles you never knew you had. Brittany was introduced to Pilates during her training as a ballet dancer. Pilates gave her core strength to combat the challenging demands ballet placed on her body. The benefits of Pilates were so apparent to her dancing and the overall health of her body that, after turning in the Pointe Shoes, she decided to train to teach. Movement is an important aspect of everyday life -and Pilates works to help your body be dynamic, balanced, and supported so you can move throughout your life with ease, strength, and health. She offers private, duo, and group Pilates sessions at Yoga Lila in Montauk. 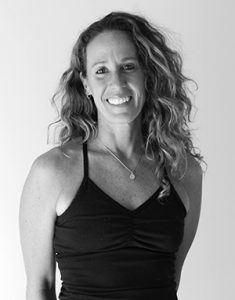 Kathleen has been studying yoga for 15 years and teaching for 10 in Manhattan and Montauk. She has been extensively trained by Alison West, Baron Baptiste, John Friend and Rodney Yee, and Alan Finger. Her asana teaching style is influenced by the classical Ashtanga and Iyengar systems as taught by these masters. Her classes are a gracious combination of smartly sequenced vinyasa steeped with alignment and breath guidance. Kathleen is philosophically studied in the school of Rajanaka yoga, a tantric tradition of auspicious wisdom, and the principles of these teachings inform everything that she is and infuse every teaching that she offers. She is eternally grateful every day to participate in the exchange of yoga. 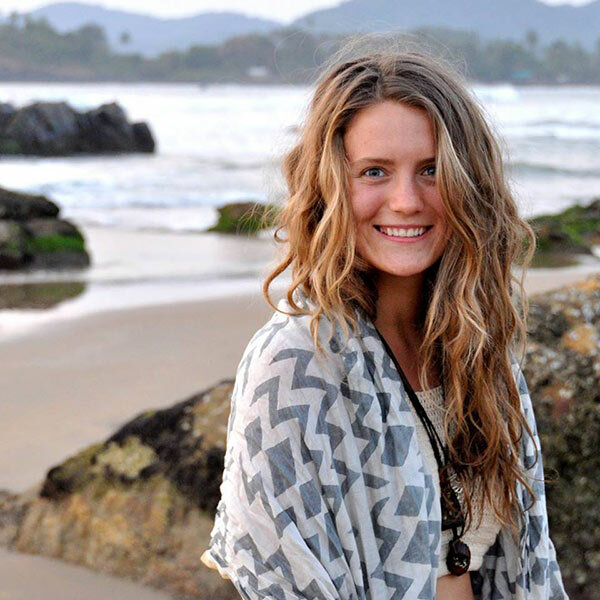 Kristen Rae is an Ayurvedic Yoga Specialist, Yoga Teacher & Holistic Health Practitioner. 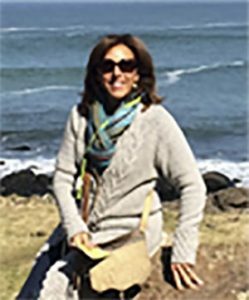 She has extensive personal research in somatic movement for healing and has been teaching and counseling in classes and private consultations since 1998. She is the director of Soma Yoga & Ayurveda, a teaching, training and healing resource that specializes in trainings based on yoga for the individual through Somatic practice, Ayurvedic principles and hands on healing assists. In addition to her private practice she is a contributing faculty member for the Kripalu School of Ayurveda and ArborVitae School of Traditional Herbalism in NYC. Born and raised in Montauk, N.Y. Abby began practicing yoga in Hawaii in 2004. A close friend and yoga instructor took her to an anusara workshop in Kapaa. After the workshop, she found Yoga Hanalei, where she began practicing hatha and vinyasa yoga with studio director Bhavani Maki. Kauai is where she still continues her practice every winter. In 2011 a Hatha yoga teaching training came up in her hometown. Jumping on the opportunity she began to fall even more in love with yoga, with the help of her teacher Kristenrae Stevens. Having so many intelligent and nurturing teachers over the years has only broadened her practice. Yoga has become an essential part of her life. Teaching and making people feel good has made this spiritual journey even more complete. Smiling and not taking ourselves too seriously is her approach to teaching. Namaskar! Heather’s teaching and practice is greatly influenced by Anusara Yoga and John Friend. Her classes are lively and fun but challenging, full of thought and philosophy. She encourages her students to find focus through their breath, to expand and play with their strengths and boundaries but to also find their own expression of self in their practice. The Anusara Principles of alignment are instructed and encouraged so to experience the deepest openings through safe body awareness. 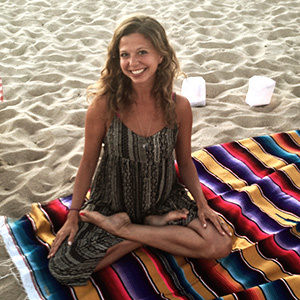 Heather began practicing yoga while dealing with illness utilizing yoga therapeutics. In addition, she counted on yoga throughout her pregnancies and has a strong desire to share with others how yoga can transform the body and mind as well as inspire the soul. Heather is grateful to her teachers Lois Nesbit and John Seelye. Marissa emphasizes a rhythmic flow between breath and movement. Her teaching is grounded yet playful, encouraging students to explore movements big and small, strong and subtle, as a way to energize and align the body, and to calm and focus the mind. She is inspired by a love of dance, music, sports, and a great appreciation for the beauty and rhythm of nature (especially the ocean!). Marissa hopes to help her students find peace in movement and in stillness, on and off the mat. Marissa is trained in vinyasa flow through Mandala Yoga’s teacher training program, and teaches throughout the East End as well as for surf-yoga clinics and retreats. She thanks her many teachers, friends, and students who have inspired her yoga practice and teaching, and especially her mother for encouraging her to first set foot in a yoga studio. © 2019 Yoga Lila Montauk. All Rights Reserved.